IREP has gone through several development stages. 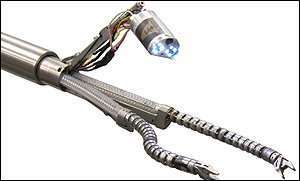 First, Columbia University computer scientist Peter Allen devised an insertable camera that tilted, panned and followed the movements of surgical instruments from inside the abdomen, and projected its vision onto a computer screen. Surgeon Dennis Fowler at Columbia performed a number of appendectomies, nephroscopies and other operations on porcine models using the technology. At Vanderbilt, Simaan equipped IREP with two snakelike arms built from a series of push-pull flexible beams that can bend and twist the arms in the required directions. Simaan also gave IREP wrists and grippers to manipulate objects. "Typically, as a research lab, we try to be at least 10 years ahead of industry to help usher in new approaches to surgery via new technologies," he said. "But university researchers and industry are catching up." Simaan moved the ARMA lab to Vanderbilt when he joined the engineering faculty in 2012. 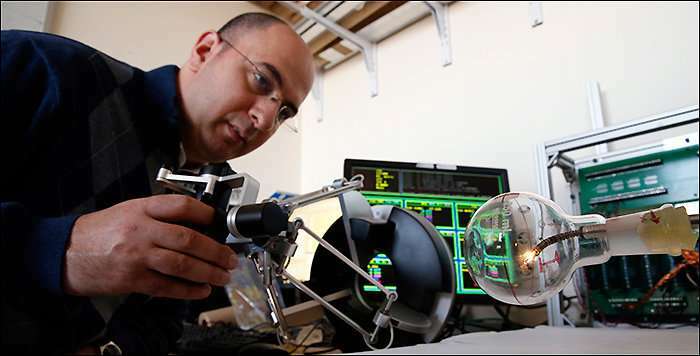 The latest ARMA tech—a prototype robot system to remove bladder tumors—shows great promise, having proved successful in animal studies. The research, recently published by the Journal of Endourology, earned a best paper award at the 2018 Engineering and Urology Society conference. Among all cancer diagnoses, the incidence of bladder cancer ranks fourth in the United States and seventh worldwide in males. "Bladder cancer also is very expensive to treat. It requires repeat resections because surgeons remove a bladder tumor 'piecewise' and that often results in recurrence and more surgeries," Simaan said. Simaan and his team developed a transurethral robot platform called TURBot. It is the first endoscopic robotic system to provide full surgical coverage with visibility of the bladder, including the neck and dome, and the first to have been evaluated during in vivo animal experiments. Three 1.8 mm working channels of TURBot's miniature multibackbone continuum robot use graspers, custom flexible cameras, and other imaging probes to reach all regions of the bladder. Simulated bladder lesions were successfully ablated by laser. Simaan and two former students have co-founded a startup to develop such technologies for robot-assisted transurethral resection of bladder tumors.